BELiEVE is a very common word today. We see it on jewelry, t-shirts, posters, phone cases and on and on it goes. BUT what is everyone believing in? Are we believing in our self? Maybe we are believing in Buddha, or some Eastern religion. Are we believing in sports as our lifes’ ambition. Some believe in money! Jesus says that those who believe in Him will have everlasting life. Think of it, everlasting life! That is something that no thing or anybody can give us. It’s priceless to think of living forever with the Lord. 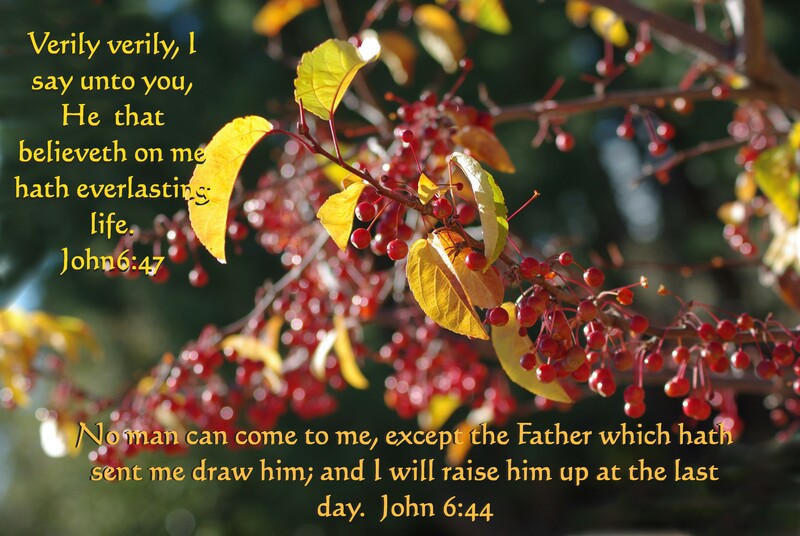 No man can come to Jesus unless the Father draws him. Are you being drawn? Maybe you are being drawn as you read this post. Think about this today!